Sunday's Mother's Day... the one day of the year Mom gets to take it easy. If she's lucky, she might even receive a (well-deserved) gift or two. Flowers and candy are proven winners; but it's important not to cut corners (you weren't going to CVS or Safeway, were you?) when it comes to quality. 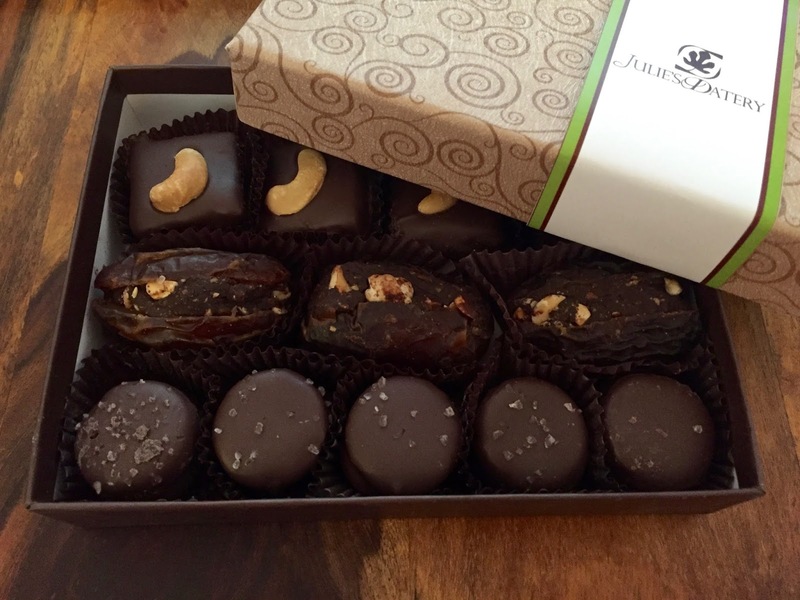 Enter local chocolatier Julie Reynes, founder & CEO of Julie's Datery to the rescue. Her Hazelnut Chocolate covered dates are affordable ($24.99 for a smartly wrapped 6.3 oz. box) healthy (gluten-free, non-GMO) and creative/delicious/original. Best of all, she's local (Alexandria, VA, Union Kitchen) and delivers. What more could you ask for? Details... Each box contains three different types of chocolate, featuring sweet Medjool dates from California or the Middle East. (1) Crunchy chocolate-covered, cashew ginger date squares, coated in dark chocolate (2) Hazelnut Simply Stuffed Date, made with rich cocoa, roasted hazelnuts and a touch of coconut oil and (3) Salted peanut butter date caramels, dipped in chocolate (of course.) Each and every component is a good source of fiber, iron and potassium. Tastes like... OMG, the salted p'nut butter caramels are nothing short of addictive (it must be the salt and creamy interior.) Date lovers will likely prefer the Simply Stuffed Dates, which ooze with tiny, chopped hazelnuts and gooey, yummy dates. As for the cashew ginger date square, prepare to be dazzled by apricot, a strong note of ginger and dark chocolate with finely chopped cashews (plus a full one on top, for good measure.) Easily the most flavorful of a tasty trio. For me, the salted caramels take top honors... and you get 10 of 'em! 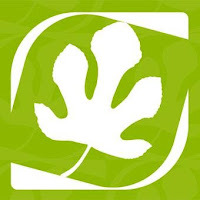 Julie's Datery goods are available online or at top local grocers such as Dawson's Market, Glens Garden Market in Dupont Circle, Harris Teeter, Whole Foods and more. Click here to find the closest location. Catering trays, minipacks and variety packages are available.